From November 24th to the 28th, purchases of an Oculus Rift headset through Best Buy will be eligible for $100 of Oculus Store credit which can be spent on Rift and Gear VR games and apps. This Black Friday and Cyber Monday, prospective VR adopters will see the first discounts on newly launched headsets. In addition to HTC’s own $100 Vive discount and app sales, Oculus is including $100 of store credit with purchases of an Oculus Rift headset at Best Buy, from November 24th to the 28th, “while supplies last”. According to Microsoft’s Black Friday deal preview page, it looks like they’re planning to offer the same. Unfortunately the credit only applies to digital content, so cannot be redeemed for cash or put towards the new Touch controllers. Also, the credits must be used before December 31st, but thankfully there is plenty of great VR content to invest in immediately, and it gives owners enough time to consider some of the designed-for-Touch launch content too. 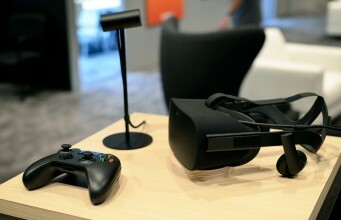 There is a small selection of other free software on the Oculus Store (Lucky’s Tale is still free, though Rift headsets no longer come with Eve Valkyrie), but the $100 credit will certainly help to get the most out of their new device over the holidays. So far it doesn’t appear that the Oculus Store is running any additional offers during the Black Friday/Cyber Monday period, but they may surprise us with some sales after all. The Autumn sale recently offered significantly lower prices on many titles, so it’s possible that we won’t see another round of sales until the new year. 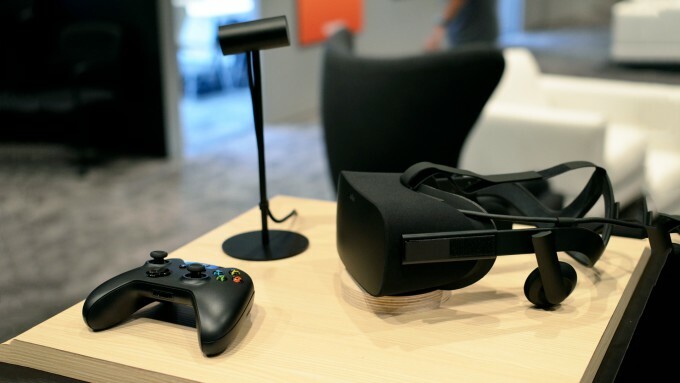 The post Oculus Rift Black Friday/Cyber Monday Deal Offers $100 in Store Credit appeared first on Road to VR.